Our trained staff is committed to finding the right company to protect your family’s future. Insurance companies have different guidelines for different medical conditions and risks so we will act as your advocate to find what is best for you. We are constantly reviewing new technology platforms to keep the application process as fast and streamlined as possible. Many of the insurance companies that we represent allow electronic signatures of documents and email policy delivery. All that is required is a brief 15-20 minute telephone interview. In some cases, policies may be approved without a paramedical exam. 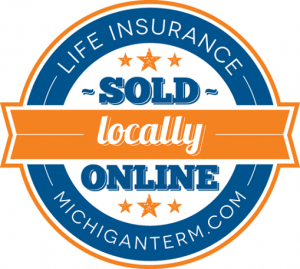 Michigan Term, LLC, was founded in 2004 to provide insurance consumers quick, easy access to fill their insurance needs. Our focus is on providing a variety of policy choices for your family’s future. We can help you put together the best plan of insurance for you, your family, and/or your business. Locally owned businesses reinvest in the businesses around them. Local businesses and employees pay rent at home, shop at home, and take their loved ones to the doctor at home. A successful local business boosts other local businesses and create more jobs and better wages for the local economy. Local businesses work harder to know their customers and be responsive to their needs. To a local business, customers are neighbors, not numbers, and can expect to be treated as individuals.